When her best friend, Sylvia, was dying of cancer, Ruth had an awakening of latent clairvoyant abilities. She immersed herself in different methods of energetic healing, which forever changed her understanding of life and death. During meditation, she was shown the Threshold between lifetimes, and worked with her Spirit Guides to heal spirits and assist souls struggling to transition after death. Ruth's memoir lifts the veil on the mysteries of angels, the Divine, and life after life. 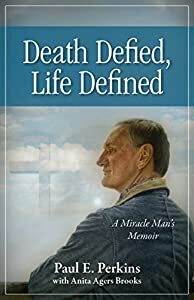 Her heartfelt narratives offer detailed accounts of her journey of divine grace, and spirit-to-spirit connection with loved ones still with us and those who have passed on. 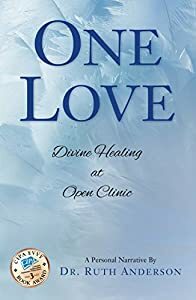 One Love: Divine Healing at Open Clinic will transform the way you think about life, death, and your soul's existence here on earth. This is not an ordinary book. It's an astonishing, mind-blowing, life-changing experience. It's beyond Law of Attraction, because it attunes you to the highly organized field of resonance that orchestrates the universe, so you get in the flow of life rather than struggling against it. Things Are Going Great In My Absence spread to over 139 countries by word of mouth, before it was in bookstores or on Amazon, because it works. Lola Jones guides you into a new paradigm where you no longer have to work on yourself, process issues, suffer, or struggle for your evolution. While many teachers can transform you in person, it's quite remarkable that Lola Jones can do it through a book. She created the book as a powerful vortex of Energy, Light, and Divine Intelligence that actually awakens you (or deepens your enlightenment.) It literally opens you up to let in more of the Grace that's been raining on you all along. When you're not able to let in that Grace, you can feel like you're dying of thirst in a rainstorm. We know, it might sound too good to be true-but it does work in your life if you simply read it, let it in, and stick to it. Boost your health and happiness through the power of positive play. Discover goodies galore to enjoy in this award-winning book. Powerful Oracle guidance. Secret messages. Brain training fun. Positive affirmations to help make your life better. Chicken soup for your brain and soul, The Word Search Oracle invites you to play! Who would have thought that practicing mental yoga, turbocharging creativity and empowering personal mastery could be so much fun? Featuring Darity Wesley's inspirational Oracle messages, these 60 easy to advanced puzzles make every page both a challenge to be solved and a meditation for self-realization. It gets even better. Once all words are found, a hidden message is revealed; a powerful mantra to affirm the Oracle reading. Plus, find fascinating facts and enlightening insights inside, providing tasty food for thought. 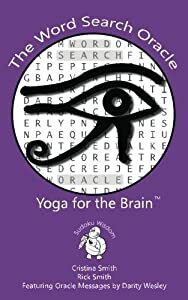 Both a profound philosophy and fun puzzle book, The Word Search Oracle is yoga for the brain™ that stretches your mind, nourishes your soul and touches your heart. Complete the 60 puzzles inside! In the process, discover that you have also solved more of the puzzle that is YOU. What does it feel like to die? The author expected something different before his final breaths ― then he died once, and again, a second time. In 1971, at age 20, Visakha had just published her first book and was beginning her ascent to fame and fortune through a career in photojournalism. She dreamed of bringing the people of the world closer by sharing their common kinship and values through her photographic essays. Then, at the invitation of her college boyfriend, John Griesser, who was working on his MFA thesis in India, Visakha traveled east, where she first learned about bhakti yoga - the yoga of devotion - from a simple Indian sage, Prabhupada, and his Bhagavad-gita As It Is. The bhakti tradition seemed irrelevant to Visakha, and she rejected it. 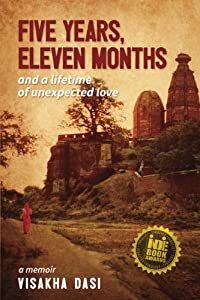 Five Years, Eleven Months and a Lifetime of Unexpected Love is Visakha's deeply personal account of the emotional upheaval caused by her doubting her own cherished convictions, by her discovery that the alarmingly unreasonable - bhakti - could gradually become alarmingly reasonable. Visakha portrays her own and others' experiences in India, Europe, and the United States as they grapple with knowledge and a culture that is at once utterly foreign yet also resonant with their hearts. And she reflects on the profound, life-altering questions that we all sometimes ask. 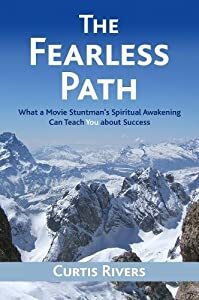 Written by a fellow seeker who maintains a healthy dose of skepticism, this is the heartwarming, funny, colorful, bizarre, surprising, informative, and upending true story that will help questioner-skeptics see life from another perspective, one likely different from their own. In Five Years, Eleven Months, Visakha beautifully weaves together her personal losses and gains with an age-old tradition that enfolds her, creating a moving narrative for anyone who has ever asked, "Why?" "Mommy, I used to be a tall baseball player. "Yes, you will be a tall baseball player someday. "With a look of exasperation, he stomped his foot and hollered."No! I was a tall baseball player—tall like Daddy!" What was my son trying to say to me? Did he mean . . . he couldn’t mean . 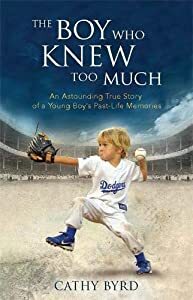 . . was he trying to tell me that he was a grown-up in a previous lifetime?At the tender age of two, baseball prodigy Christian Haupt began sharing vivid memories of being a baseball player in the 1920s and ’30s. From riding cross-country on trains, to his fierce rivalry with Babe Ruth, Christian described historical facts about the life of American hero and baseball legend Lou Gehrig that he could not have possibly known at the time.Distraught by her son’s uncanny revelations, Christian’s mother, Cathy, embarked on a sacred journey of discovery that would shake her beliefs to the core and forever change her views on life and death.In this compelling and heartwarming memoir, Cathy Byrd shares her remarkable experiences, the lessons she learned as she searched to find answers to this great mystery, and a story of healing in the lives of these intertwined souls.The Boy Who Knew Too Much will inspire even the greatest skeptics to consider the possibility that love never dies. Are You Sensible, Creative and Empathic? Then This Book Is For You! 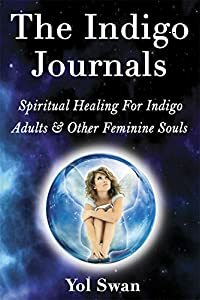 If you've ever wondered why you feel disempowered and disconnected in a world that doesn't make sense to you, The Indigo Journals holds the answers you've been looking for. 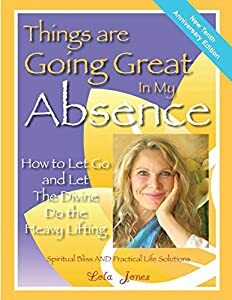 From her mystical experiences, channeled messages and encounters with enlightened teachers to the cosmic memories that led her to an in-depth exploration of the wounded Feminine, the author takes you on a spiritual healing journey of self-discovery and personal growth to unlock your hidden power, fulfill your purpose and bring balance to this overly masculine world. You may have heard of Indigo children, but Indigos come in all ages and personalities, often living despairing lives along with other (male and female) feminine souls who can't understand the agonizing lack of love on the planet. If you are highly sensitive, receptive and empathic, this book is a must-read! • Awaken to your true nature by recognizing the divine differences that make you receptive, sensitive and empathic. • Gain emotional freedom with insights and practical tools to break free from codependency. 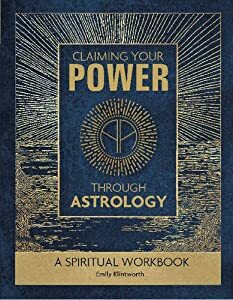 • Master the miraculous power of the Divine Feminine within you to transform your reality and the world. 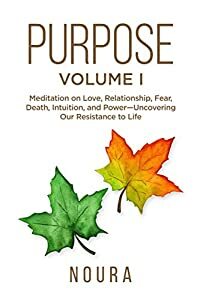 • Discover your true purpose to balance the Feminine and Masculine and contribute your unique gifts to promote a new cosmic cycle of light. Aside from the many spiritual practical tools provided, you will also find bonus links to a Self-Assessment Questionnaire, a Guided Meditation and a Past Life Regression. Grab a copy of The Indigo Journals today!